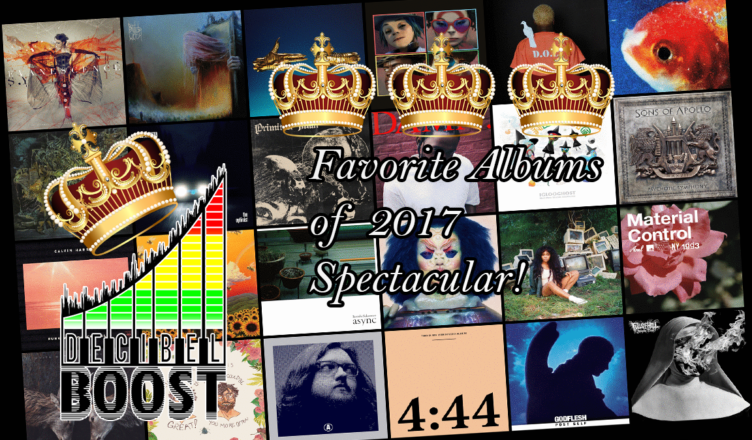 Episode 62 – Top Albums of 2017 Year-End Spectacular! 2017 is now coming to a close, so this once again leaves the crew to reflect on the music that defined the year and stuck with them all throughout this very long and frustrating year. Listen to the crew talk about their favorite records of the year from the likes of IDK, Bjork, Gorillaz, Tyler the Creator, Anathema, Kendrick Lamar, Primitive Man, Iglooghost, Thundercat, Full of Hell, Run The Jewels, and so much more. Your hosts are Robert (@RobBarracuda), Alex (@AuraOfAzure), and Mark (@MAK2HybridMedia). Subscribe to the podcast on iTunes and Google Play Music.